Winter is coming, Sisters! It's becoming chill these days, in our running group, one popular topic is "What to wear running in this winter?" I may be one of the few people that can't wait for summer to end and the fall to return. The beautiful change of colors all around me reminds me of my childhood. I look forward to Halloween and the warm drinks in cold nights. Ever since I was a little girl this has always been my favorite time of the year. One of life's hidden pleasures is going out on a brisk cool evening in November and taking off on a long peaceful jog. Now the most important parts of my jog are the location I've chosen, the music I'm listening to, and of course the clothes I'm wearing. The first two are up to personal preferences, when it comes to my outfit however I am very particular with the brands and styles that I choose so that they fulfill all of my needs. I always start with a nice base layer and for me the go to choice is Smartwool Women's PhD Seamless Racerback Bra. I have very little bouncing issues in this bra even though I am a solid C cup and it is incredibly warm even in very cold temperature. Comfort is everything when I run and the fabric on this bra is exceptional. I also go with Smartwhool's underwear, specifically their seamless mid rise bikini. Their support and warmth really set the standard. 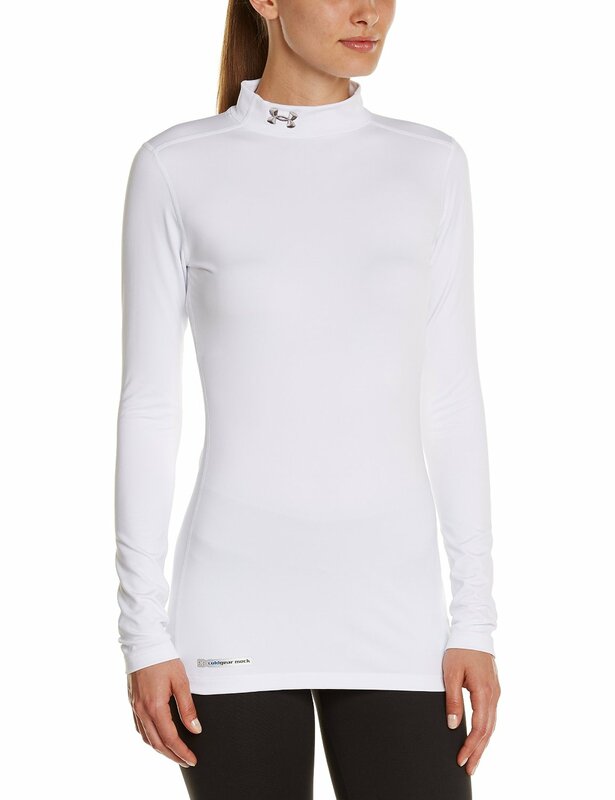 The top that I like the most is Under Armour Women's ColdGear Authentics Mock from their ColdGear collection. Under Armour ColdGear is world renounced for it's ability to keep it's athletes dry and warm in the coldest of climates and this top is no exception. They run a little small so I like to order one size up. I'm also taller than the average woman and the long sleeves on the shirt were a pleasant surprise when I first bought one. 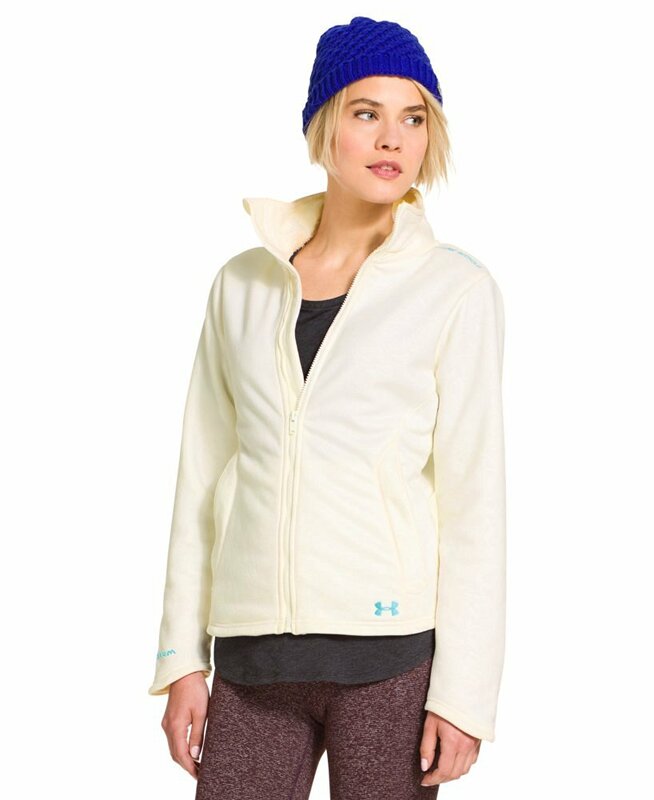 When it comes to jackets I've always stayed with Under Armour Women's UA Extreme. The jacket fits me perfect even though I have larger breasts than most. The material is incredibly warm when the temperatures deep into the teens. I've even been skiing in it and the jacket managed to stay dry in the snow. I wear the twighlight purple and it is absolutely gorgeous. My favorite pair of pants to wear during winter runs are the Women's 3/4 Length Stabilyx Tights from CW-X. First of all I absolutely love the design on these pants. They're cute without being too flashy and they make me easy to see on the road. They have amazing stability in the knees which is great for me because I have had issues with my knees in the past. I have also had friends tell me these are great for their shin splints. Can't say enough about these as I absolutely love them. 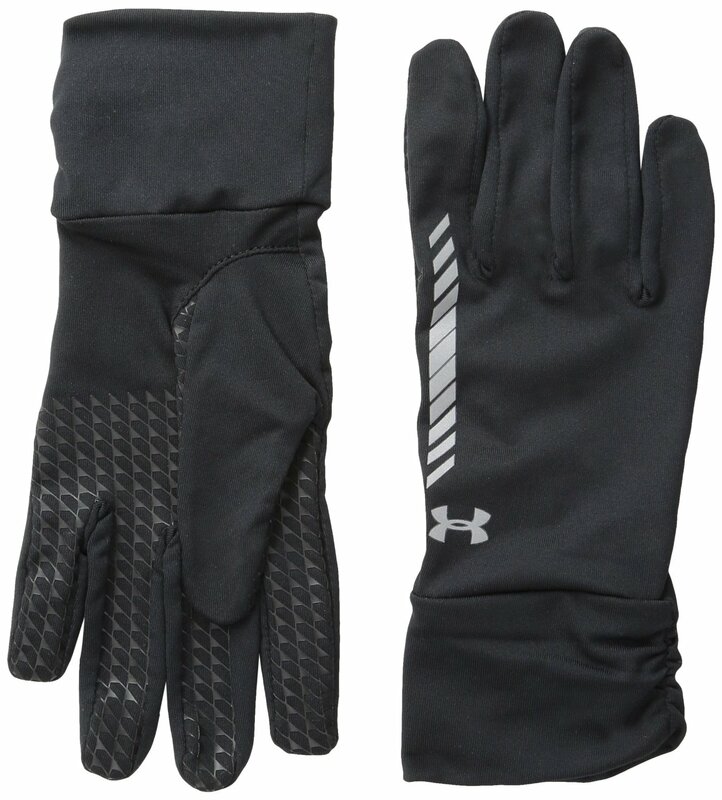 As far as my hands go I love the Layered Up Liner Glove from Under Armour. These gloves always last me through the entire winter. The polyester material is extremely durable and the ColdGear signature lining keeps my fingers from ever getting chilly. The best thing about these gloves is that you don't need inserts which will keep you nice and light on your run. 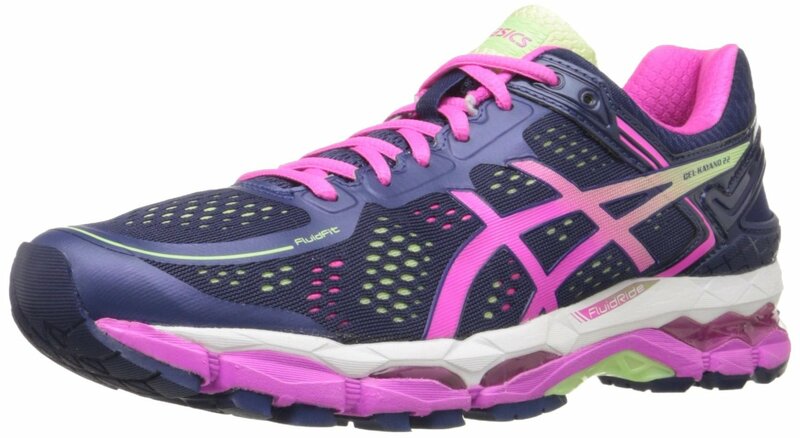 My running shoes are made by ASICS and they're called the GEL-Kayano 22. This is simply the best running shoe on the market. Flat footed or women with wide feet will love this shoe. It has FANTASTIC arch support. These things feel like pillows on my feet and are so comfortable I sometimes wear them when I'm lounging around the house or out grocery shopping. Unlike most running shoes they fit true to size with no need to break them in. That means no wearing thin socks in cold weather. Plus they look great with my tights from CW-X. 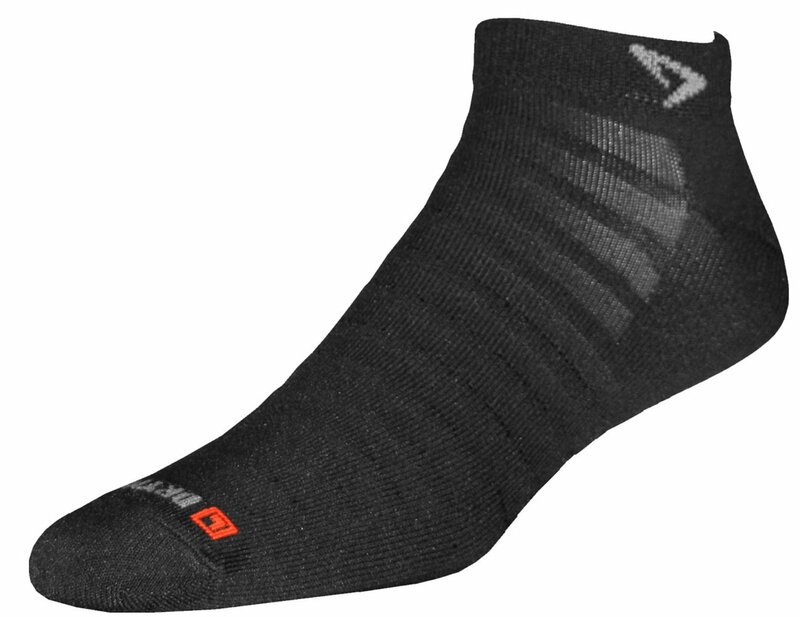 Underneath the ASICS I like to go with Drymax Run Hyper Thin Mini Crew Socks. I got these socks as a birthday gift and while at first I was disappointed they turned out to be the best running socks I've ever used. My toes stay nice and warm whenever I wear these during my nightly runs and the material manages to stay dry even when I sweat a ton. They run a little big though so I would suggest ordering one size down. Having the right outfit allows me to go out and really push myself. When I'm warm, comfortable, and well supported there is no better feeling in the world than the pavement underneath my feet on a chilly winter night. Above is Katia's running clothes choices, hope it helps you choosing your running gear for this winter, by the way, if you are a beginner, read A Beginner’s Guide to Running Your First 5K before you actually hit the road.